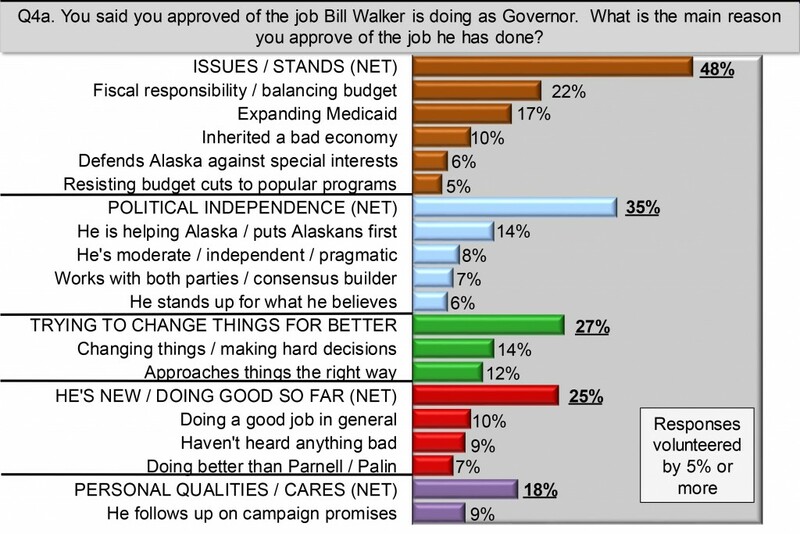 Governor Bill Walker has had a turbulent first year in office. He has faced massive budget deficits, what feels like unending drops in oil prices, extended budget fights with Republicans in the state legislature that drug well into the summer, and both legislative and legal battles over expanding Medicaid. The poll was by conducted July 19th-26th by Harstad Strategic Research, Inc. and sampled 602 Alaskans who voted in the 2014 midterm elections. According to that survey Governor Walker can boast a 59% in personal favorability and an impressive 69% job approval rating. The Harstad numbers also show contours in the Governor’s support. For instance, 50% of voters trust the Governor more than the Legislature on budget decisions. Interestingly, the Governor, a former long-time registered Republican turned Independent, still scores a favorable impression from half of Republicans. While his support among Democrats and Independents is higher, the Governor has to like getting half of his “opposition” looking favorably upon him. Overall, the numbers paint a picture of a popular Governor who voters are still getting to know, but agree with on issues and view as fiscally responsible and politically independent. While it has a tough fought year for the new Gov and the next year doesn’t look to be any easier, but he can at least hang his hat on the fact he appears to be winning Alaskans over. 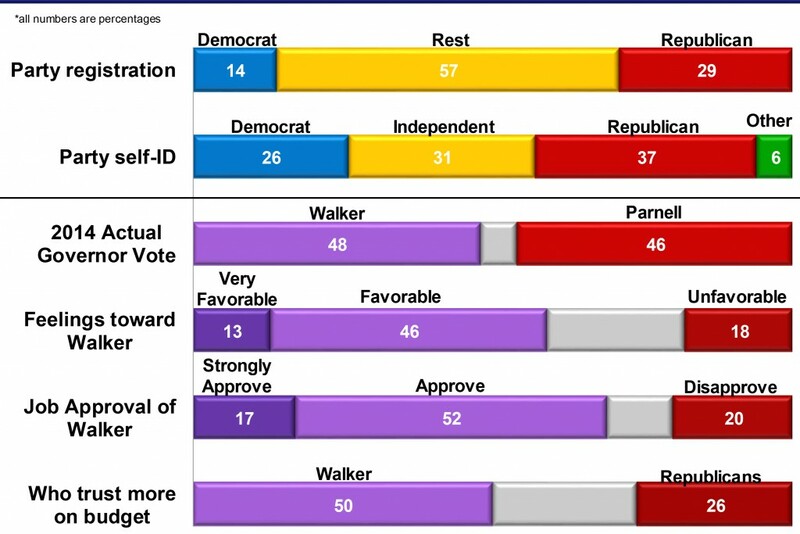 1 Comment on "******TMS EXCLUSIVE****** New Walker Polling Released"
Amazing. The first thing I’ve found that I’ve disagreed with him on is the Izembek wilderness road and I’m not sure if any gasline numbers will pencil out.